I may have mentioned a few million times that my favorite movie is Wonder Woman. 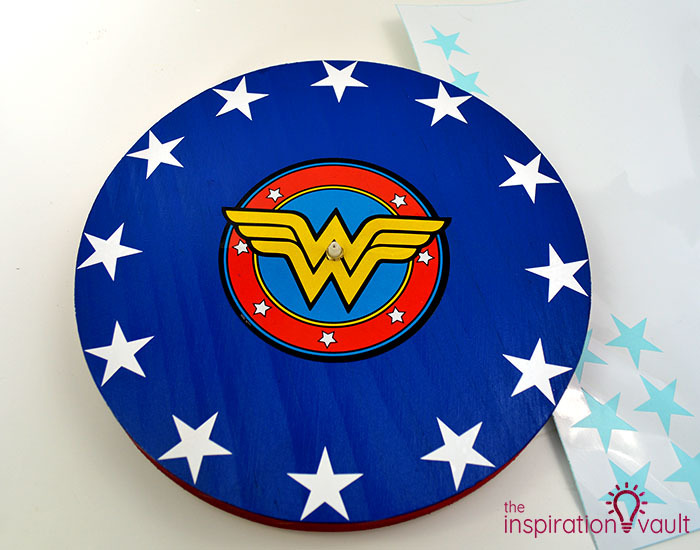 I’ve loved that character since I was a little girl and that’s why my craft room is Wonder Woman themed. 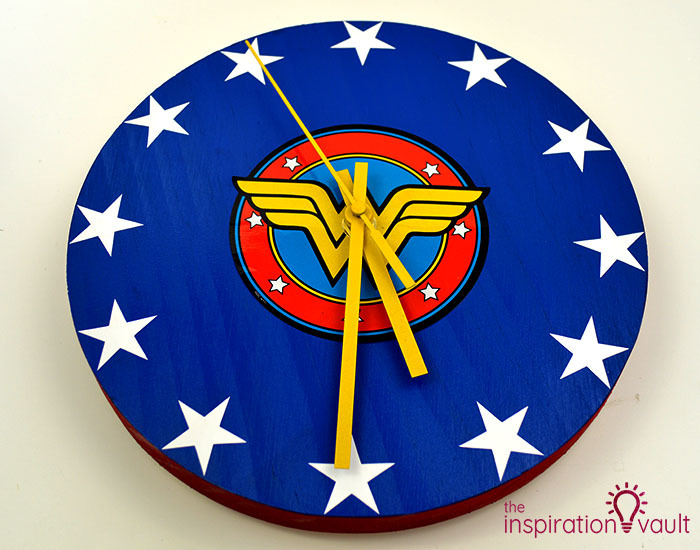 This DIY Wonder Woman Superhero Clock is the perfect addition, too! 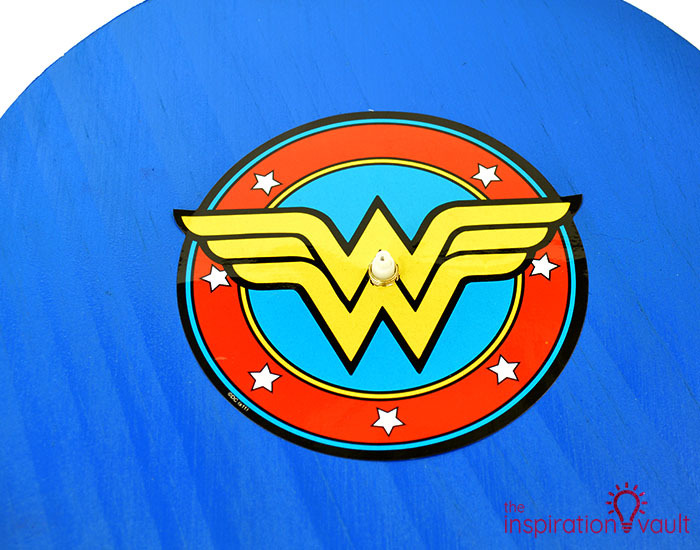 If she’s not your favorite hero, that’s okay, you can follow the same instructions and just use different stickers and paint. 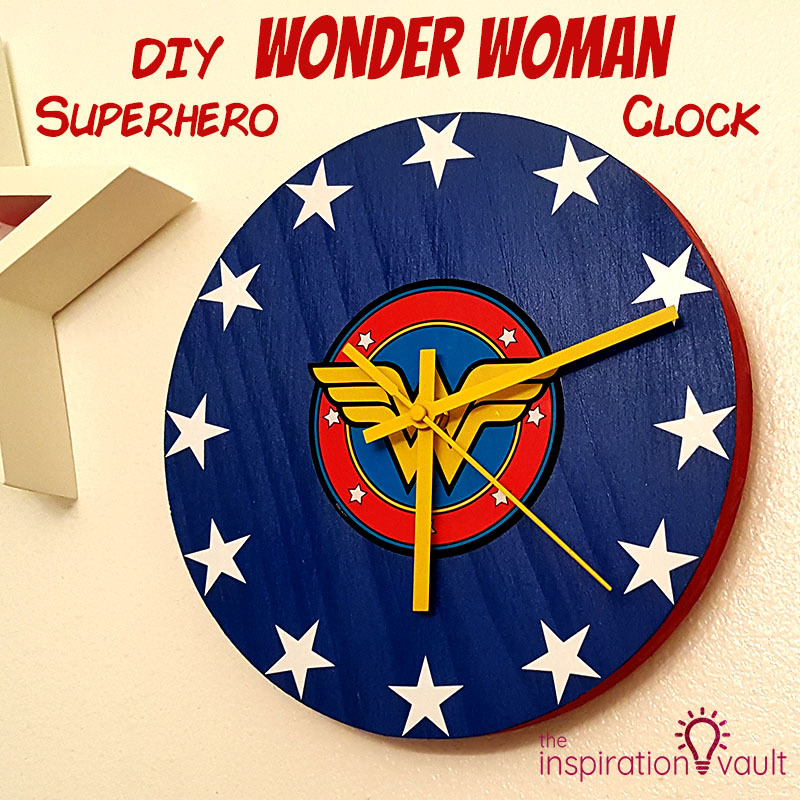 I also made this clock as part of the Movie Monday Challenge, where we make crafts or recipes to go along with a monthly theme. 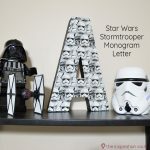 This month we were charged with making something inspired by our mom’s favorite movie. Well…I’m sans mère so I just chose my favorite movie. I’m a mom, so it counts, right? Right. Now let’s get to that clock! 1. 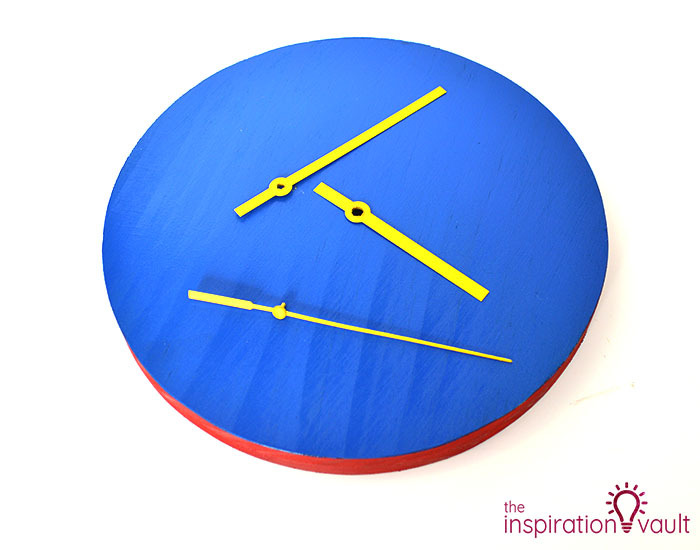 Cut a circle out of a scrap piece of paper and stick it to the front of the wood clock base. 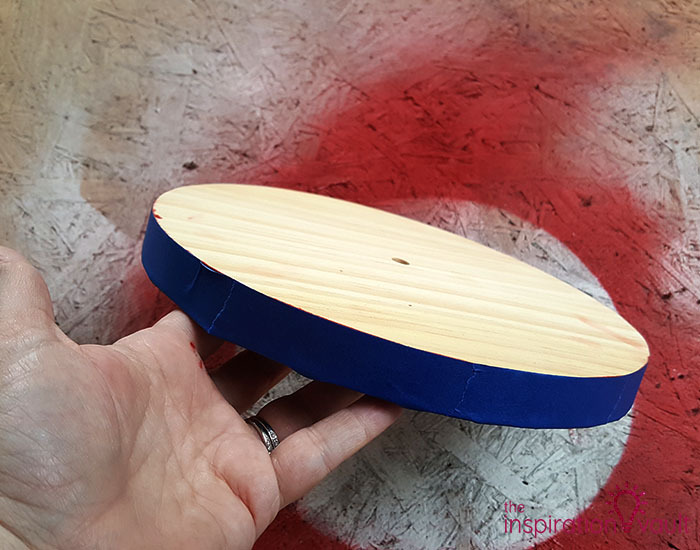 Use the masking tape to cover the front curved edge of the clock face as shown. 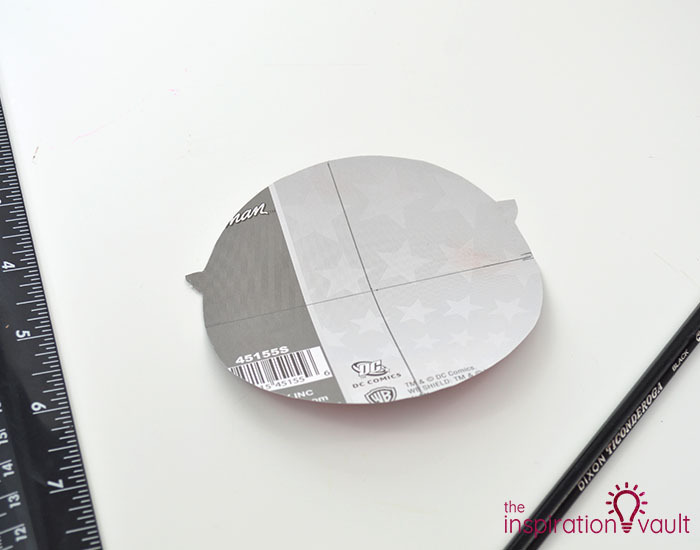 The tape will curve if you apply it slowly and carefully. 2. 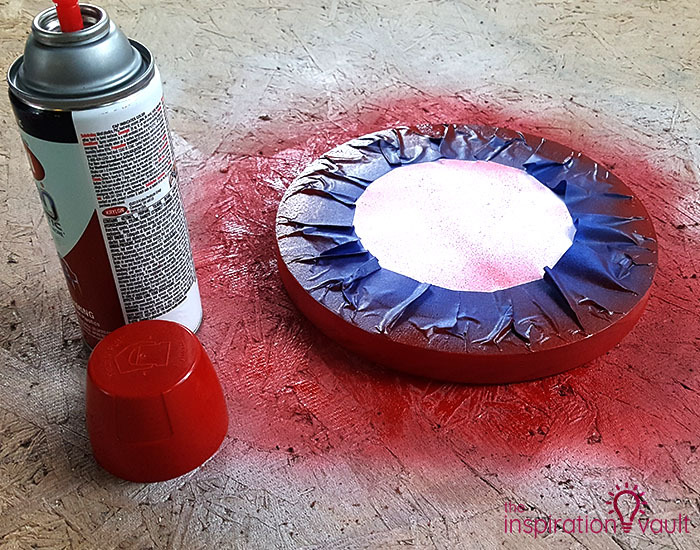 Spray paint two coats of the red spray paint to the side edges of the clock. Let the paint dry for at least 20 minutes after each coat before moving on. 3. Remove the masking tape. 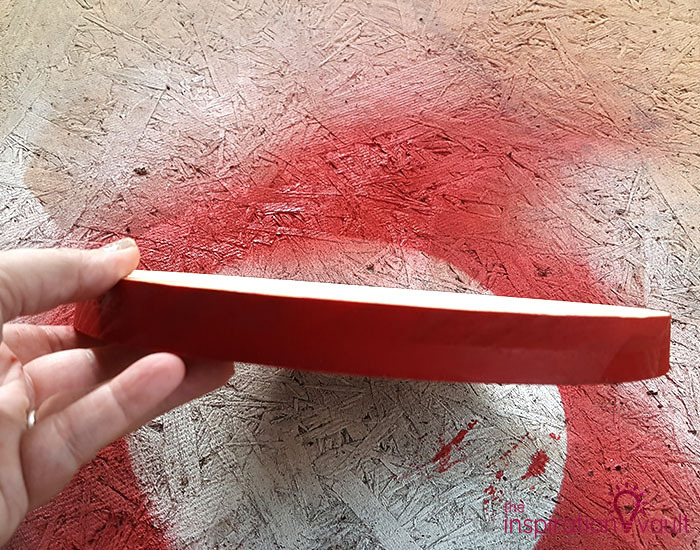 Carefully place new masking tape all the way around the newly painted red edge, covering the red completely. 4. 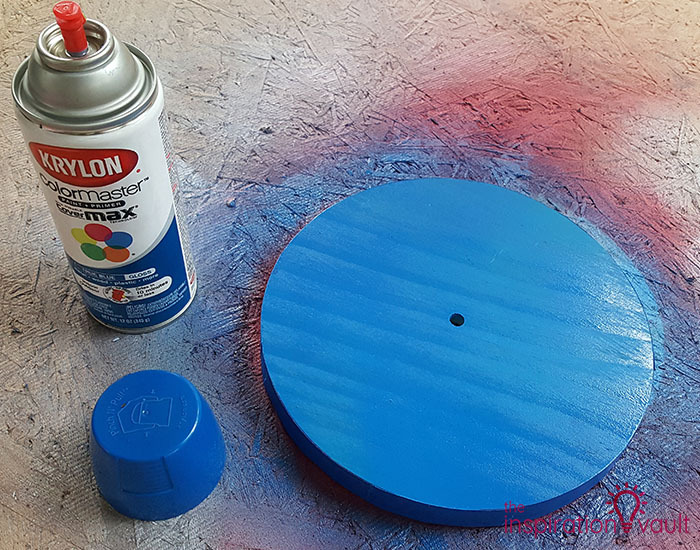 Paint two coats of the blue spray paint onto the clock face, letting it dry for at least 20 minutes after each coat. 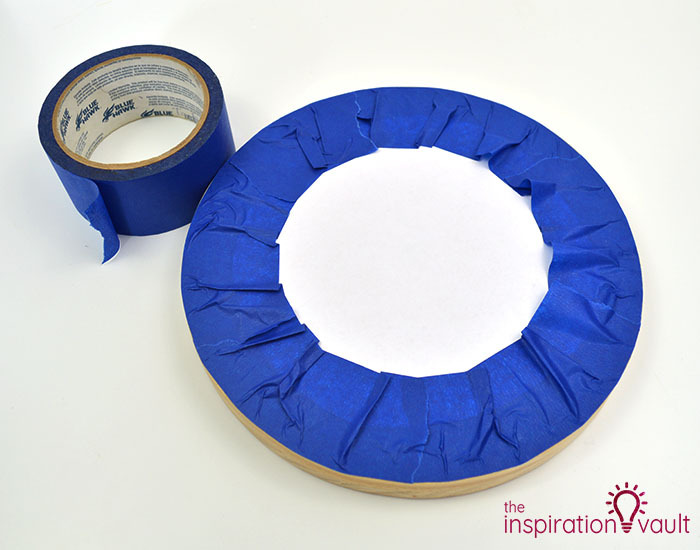 Remove the masking tape once it’s dry. 5. 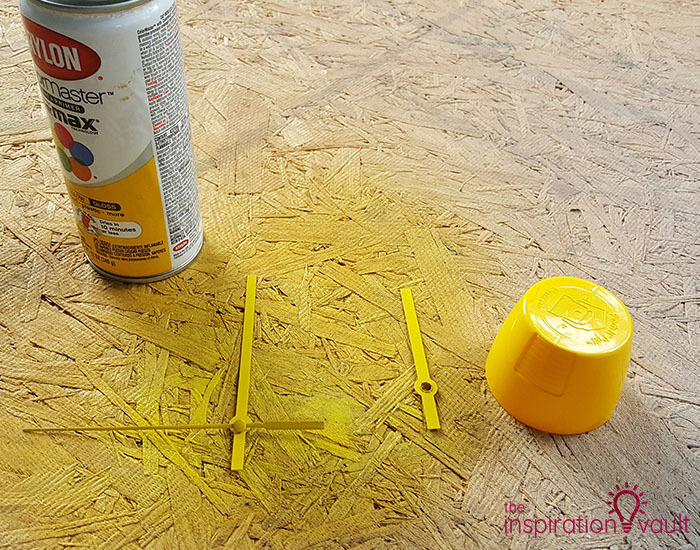 While the other paint is drying, you can spray paint the clock hands yellow. Be sure to paint the correct side. For the Target clock kit, the right side is gold, but your kit may be different. Let these dry completely and handle them carefully. 6. Find the center on the back of the sticker. I used a ruler and drew lines to find an intersection. I also slightly folded it in half to get a starting point. It’s important to find the exact center so that sticker is centered exactly under the clock hands. 7. Punch a hole in the middle. If your hole isn’t big enough to fit over the clock gear thingy, you may need to use a sharp knife to trim it a little more–I did. 8. 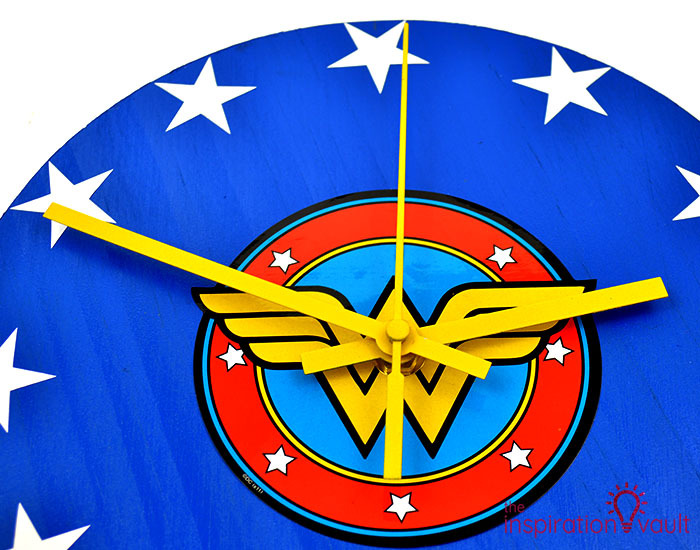 Place the Wonder Woman sticker onto the center of the clock face. I also made a small mark at the top center of the clock so I could make sure the sticker was also level. 9. 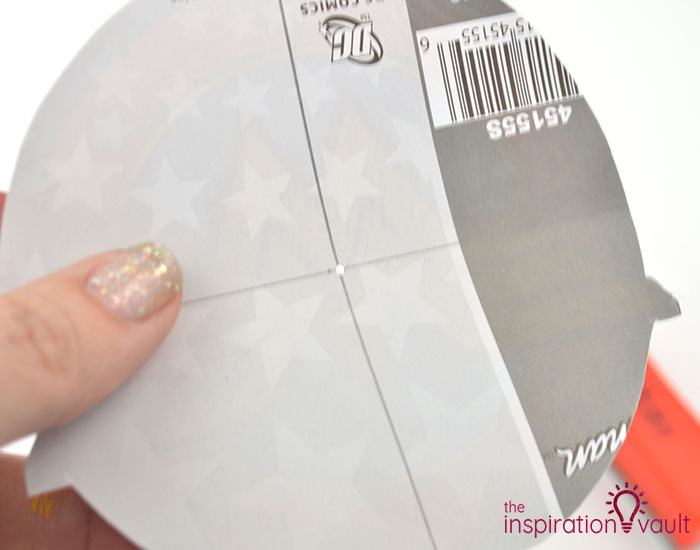 Use your Cricut to cut out 12, 1-inch stars on white vinyl. 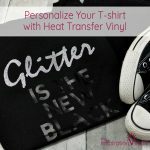 Or, if you don’t have a Cricut, just use white star stickers or use a star punch on vinyl. You have a bunch of options. Place the stars on the 3, 5, 9, and 12 points first and then fill in the rest. Mine are not geometrically perfect I’m sure, but they’ll do fine. 10. Follow the instructions that come with your clock guts to assemble the hands and get it running. That’s it! Not too bad. 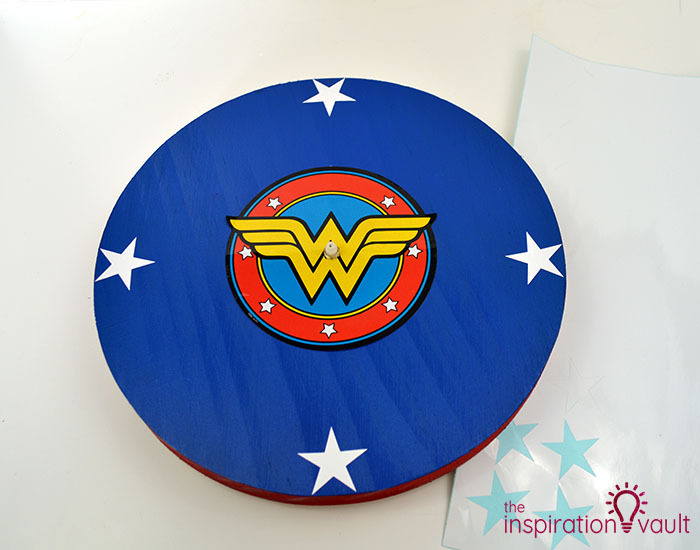 I’ll tell you, I’m super happy I remembered to spray paint this DIY Wonder Woman Superhero Clock this time around. It’s just so much faster and surprisingly less messy than using acrylic paint and brushes. This project is so super easy to adapt to other stickers and heroes, too. My son immediately demanded a Batman clock once he saw this–I challenged him with telling me the time in analog first, lol. Personally, I like being able to look at the clock and gauge how much time I have left before a deadline. I’m hoping that big WW will help keep me motivated and on task. 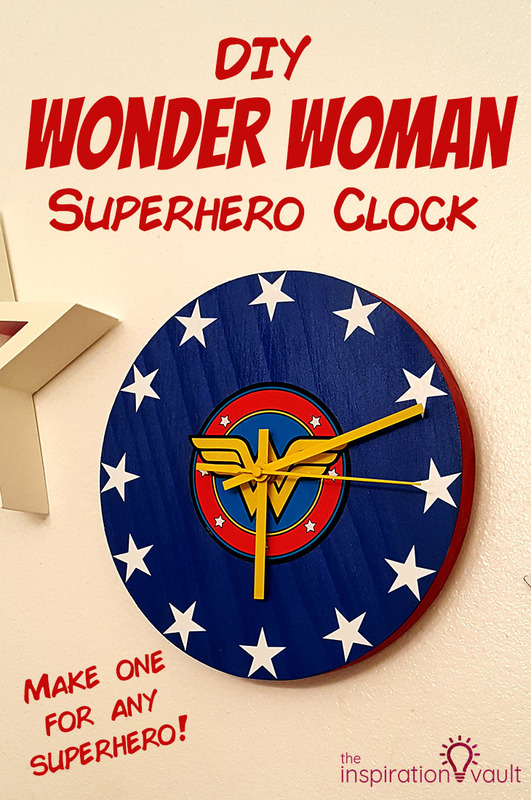 So which superhero would you choose for your clock? 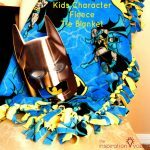 If you love superhero crafts in general, be sure to see my Wonder Woman Window Valance and my Batman Tie Blanket. 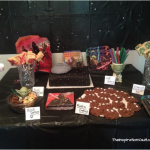 Plus we have a bunch of other projects from our Batman Party. 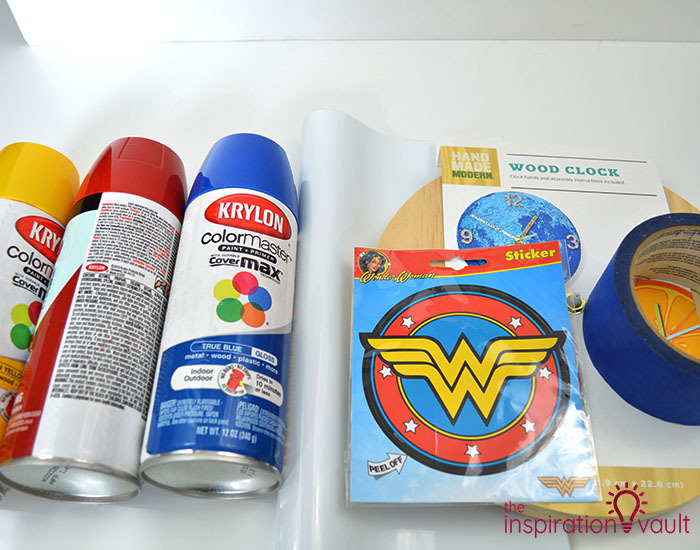 If you want to get the kids in on the crafty action, you have to visit All Free Kids Crafts to see all of the super fun superhero project ideas! 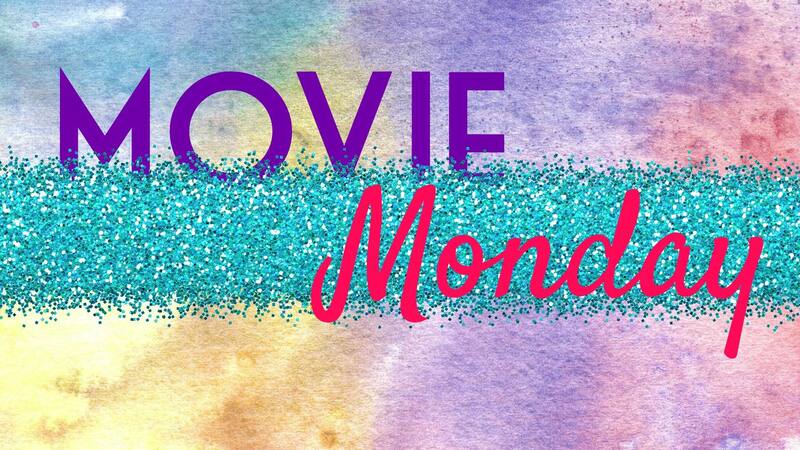 This month’s challenge was. . . . “Mom’s Favorite Movie.” Everyone was allowed to choose their own film so long as it was inspired by the challenge theme. This clock is just awesome! 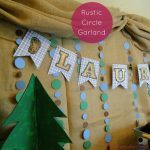 I love the bright colors and it looks great in your craft room!